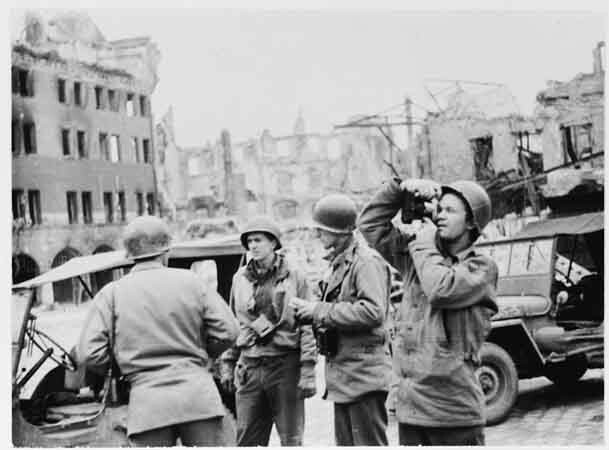 US Army Signal Corps photographers from Combat Unit 123 photograph ruins in the city of Naumburg, Germany. Photograph taken by J Malan Heslop. April 10, 1945.